Strabismus, also called a “crossed eye”, is a condition in which the eyes are misaligned. Eye position is controlled by six muscles, called extraocular muscles, which surround the eye. Strabismus is most often caused by one or more of these muscles pulling either too hard or not hard enough. While one eye gazes straight ahead, the other may point inward, outward, up, or down. Strabismus is commonly congenital, or develops in young children, though it may develop in adulthood as well. It is often hereditary. Strabismus is often visually evident (by the misalignment of the eyes), and sometimes is noticed by a parent before diagnosed by a physician. Some types, however, are very difficult to identify. There are also cases of pseudostrabismus, in which an infant or toddler appears to have inwardly-crossing eyes but is actually exhibiting incomplete facial development; this requires no treatment, and remedies itself with further growth. If strabismus goes untreated in children, it often develops into amblyopia (lazy eye), in which the brain ignores images coming from the weak eye, rendering a person effectively blind in one eye. For this reason, all children should be checked by a physician for strabismus by age three or four. Children with a family history of the condition should be examined even earlier. Corrective lenses are a common initial treatment and sometimes glasses alone will be effective. More often than not however, surgery is necessary to correct strabismus. Surgery involves adjusting the extraocular muscles in one or both eyes so that the eyes point in the same direction. 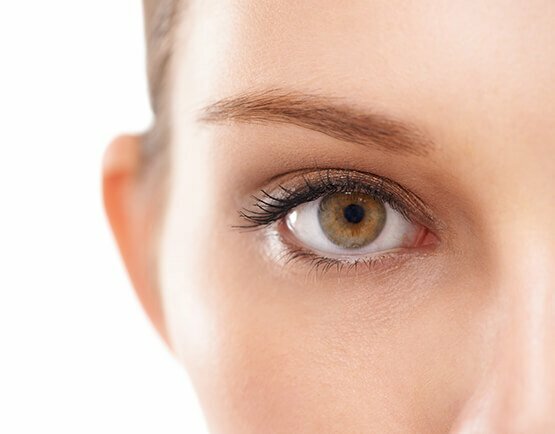 Strabismus surgery is generally a safe and common procedure and is often the only way to effectively treat the disorder. If you are experiencing any symptoms of strabismus, we encourage you to contact us today to schedule a consultation.